It’s that time of year again! Time to send the kids back to school, unpack your woolly sweaters, enjoy some hot apple cider and warm your tootsies in front of the fire (OK, since it’s still August, maybe it isn’t quite time to pull a sweater over your head) but it is time to kick off R.I.P. or R.eaders I.mbibing P.eril…IV!!! R.I.P. IV is the fantastic challenge hosted by Carl of Stainless Steel Droppings. This is the third year I am joining in and I am so excited! It’s a great way to kick off my most favorite season of the year! The R.I.P. 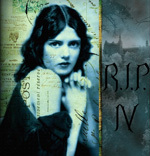 IV challenge asks you to read from any of these spookyish genres – Mystery, Suspense, Thriller, Dark Fantasy, Gothic, Horror or Supernatural. The challenge officially starts on September 1st and runs through Halloween. I am hoping to read at least four books for R.I.P. IV. Below is the list of books (I’ve listed five just in case I want to switch one out) I plan to pick from for Carl’s challenge. Pride and Prejudice and Zombies by Jane Austen and Seth Grahame-Smith – this one is on my list for Everything Austen already, so I figured I would kill two birds with one stone. The Gargoyle by Andrew Davidson – The Gargoyle made the rounds on different blogs awhile back and since it just came out in paperback (with a cool new book cover) I just couldn’t resist. The Lace Reader by Brunonia Barry – Book Club Girl was sweet enough to give me a copy of this book when we had lunch last week and when I read that people compare it to Diane Setterfield’s The Thirteenth Tale I quickly added it to my list. Plus, Raych just gave it eight catepillars! The Angel’s Game by Carlos Ruiz Zafon – I really enjoyed Zafon’s novel The Shadow of the Wind and was excited to find out that he had written this new book, which was published earlier this summer. The Last Dickens by Matthew Pearl – Another one with a great paperback cover and by the description it sounds like an intriguing mystery. Are you joining in too? 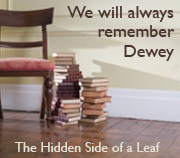 What books do you think are a must read this fall? 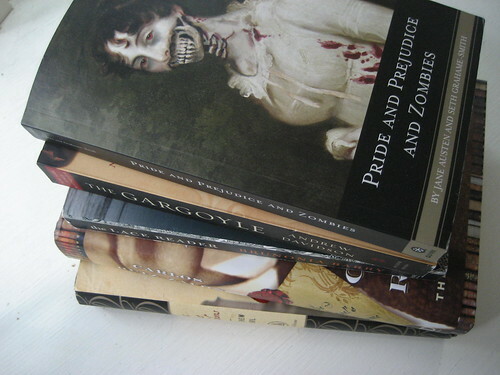 I just love that cover for Pride and Prejudice and Zombies. It is so perfect. I’ll be interested in your thoughts on that one if you choose to read it. The cover for The Last Dickens is really cool as well. Third time is a charm, eh? I’m so glad you are joining in again and sincerely hope you have a wonderful time. I’m sure that you challenge will be fun (as usual). I thought about reading The Gargoyle too. I’ve only had it for forever. I don’t know why, I just keep digging my heels in on that one. The Lace Reader is the same. Digging in the heels. I loved The Angel’s Game. I’ve heard mixed reviews, but I did. Maybe not quite as much as I loved The Shadow of the Wind, but still…love! I have to read The Last Dickens soon anyway, I forgot about it! Yay! Glad you joined the challenge, have fun! Great picks! I loved The Gargoyle and The Lace Reader. Great picks! And the Last Dickens is on my list too. Can’t wait to read your reviews! the last dickens sounds like “drood”.. it will be interesting when reviews begin to see if they are similiar. The Gargoyle and The Lace Reader are both really good. I hope you enjoy them! I think I have the perfect mystery/thriller book to read for this one! What a list! I’ll be borrowing some of your ideas for later reading. 🙂 I’ll be playing RIP, too. I love an excuse to read something with atmosphere. I’ve not heard of this challenge before but it sounds like fun! I may have to check it out. You picked some really good books for it too. BTW… the opening of your post made me long for fall which has yet to hit here in So. Calif (100+ degrees today). Glad to see you are joining the challenge! You’ve got some good books on your list and some titles I hadn’t thought about at all but would definitely work. Have fun! If you haven’t read it already, I have to suggest American Gods by Neil Gaiman. Very dark fantasy/mythology, with lots of suspense, mystery, and amazing story-telling and characterization. It’s spooky-wonderful! On another note, enjoy P&P&Zombies. I laughed my way through it – truly enjoyable! We just can’t resist this challenge, can we? 😉 You’ve some great books there! ooo, there are 2 titles here that i’ve got in my tbr pile that i may have to pull to the top of the stack – The Lace Reader and The Angel’s Game. Thanks for the tip. I like the new look. I’m actually waiting for Pride And Prejudice And Zombies. I just might join this one too since those are books that I do read so it won’t be all that challenging. Great picks! I forgot about The Lace Reader when I made up my list. I think I’ll have to add it to the pile and see how it goes. I also just ordered The Angel’s Game, which I’m really looking forward to reading too. And I have The Gargoyle on my stacks. Gah! So many books! Yay, I’m so excited. Thanks again! So glad you joined the challenge! It’s my first year, I’m pretty excited. You’ve got some great books in your stack. I loved The Lace Reader and Gargoyle. You are in for a treat! I am also joining in the challenge fun. I don’t really read many spooky-themed books and I’m excited to expand my horizons! Your list looks wonderful – I’m looking forward to all the new books that this challenge will surely introduce me to both through what I decide t read and what others decide to read! OOH – forgot that PP+Zombies was eligible for this one – I’m reading it for book club in October! I’m so excited for this challenge. So excited about this challenge as well! Thanks for sharing it! The Gargolye is amazing! 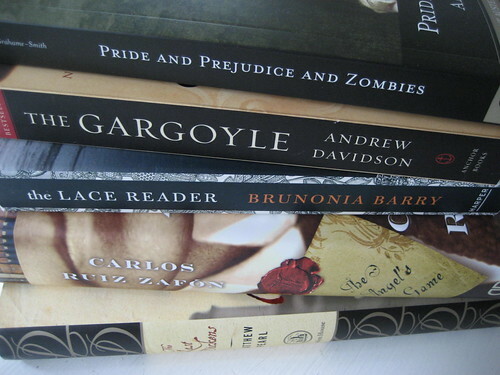 Excellent choice — and Pride and Prejudice and Zombies is some quality reading. I read the Gargoyle and enjoyed it. It is a differnt kind of story in my book. Just sympathized with the characters so much. Just got the Lace Reader for this month’s book club. I’ve also heard lots of good things about it. And if it is like like 13th Tale..oh yeah!